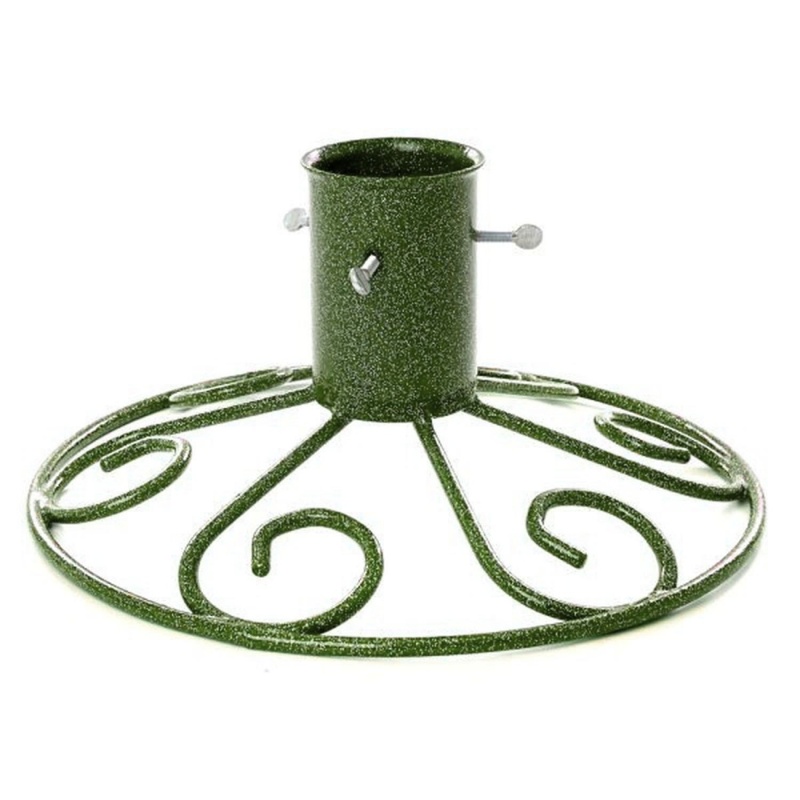 Tom Chambers Sleigh Base 5" Christmas Tree Stand - Green stylish Christmas tree stand designed with elegant scrolled ring base, supporting a watertight and heavy duty tree holder. Accommodates and stabilises any real cut Christmas tree up to 8ft tall (approx). Finished in festive, sparkling Green colour coating and includes easy-use thumb screws. Manufactured in the UK.